More important than our technical competence, we are people with a culture of ethics, innovation, and collaboration. Our proven track record is only made possible by our infinitely talented employees. 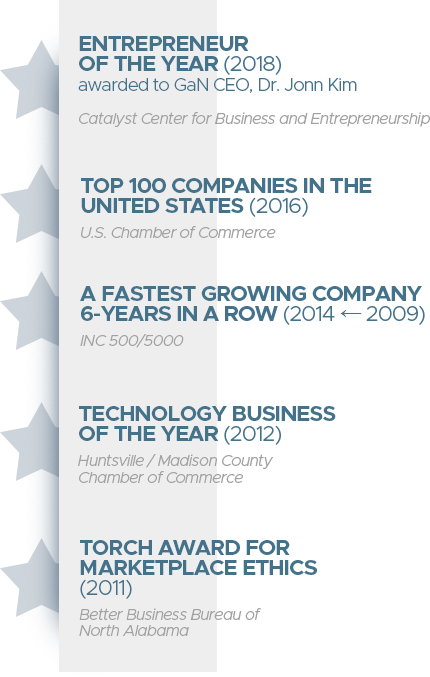 Incorporated in 2004, Geeks and Nerds (GaN) has grown from one employee located in Huntsville, Alabama, to dozens of employees populating offices all across the United States. During that time, we have successfully executed 27 prime contracts and hundreds of task orders with exceptional results. In 2015, GaN officially became an employee-owned company! Through our Employee Stock Ownership Plan (ESOP) our eligible employees are able to directly influence their own and GaN’s financial future. Our employees, as owners, understand that our success depends on all of us working together to exceed our customers’ expectations.